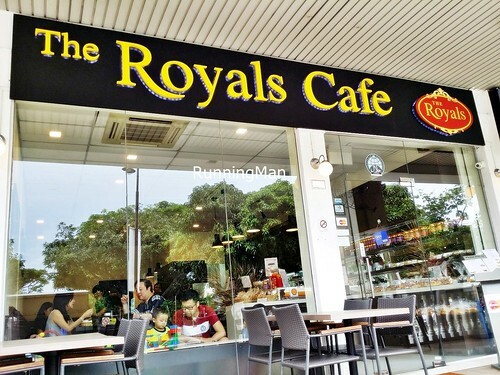 A cozy, casual, family friendly cafe in Siglap & Choa Chu Kang, The Royals Cafe is well known for its delicious and wholesome Halal certified cakes and confectioneries. 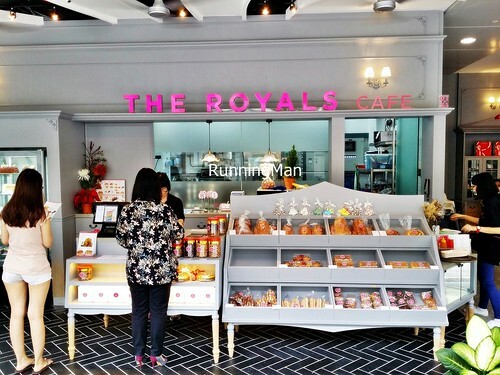 Since its founding in November 2007, The Royals Cafe has garnered quite a following for their tasty sweet treats at wallet friendly prices. Ambience at The Royals Cafe isn't their strong point. Furniture is functional but simple, and the interior doesn't have much decor, beyond a small play area for children and several small pictures. 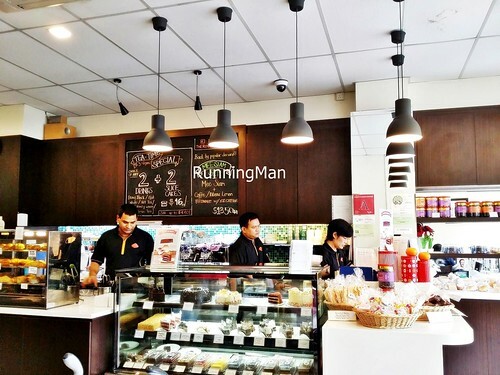 But I like the bright interior, lit be natural lighting and flourescent white, while the attractive display of cakes and cookies draws attention. 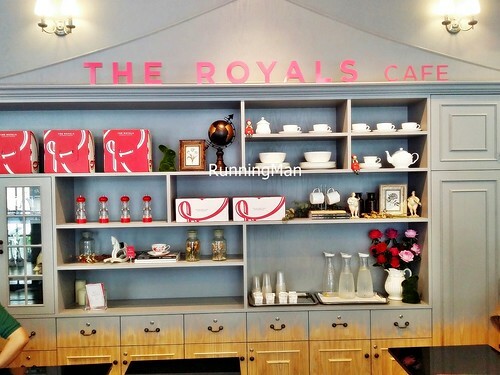 Service at The Royals Cafe is friendly, with staff offering greetings upon entry. 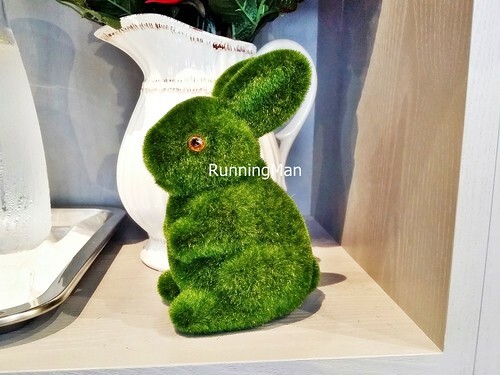 Orders are fulfilled quickly, and staff are also efficient at clearing tables quickly. I also like that staff are knowledgable on the menu, able to make recommendations, though they aren't so clear on use of ingredients. However, the order taking process is slow, you'll have to wait quite long for staff to take orders especially during peak periods. 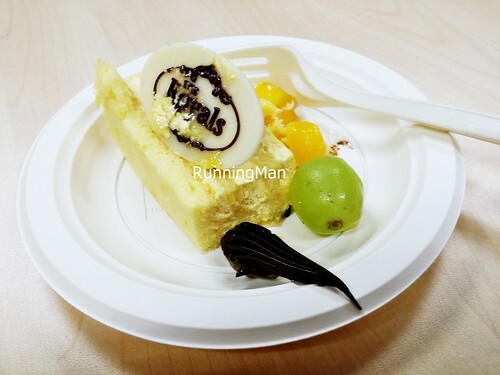 Food at The Royals Cafe is simple and straightforward, with cuisine mainly consisting of either Western American style main courses, or Singaporean style favourites. Menu options are rather limited, but portion sizes are sufficient even for large eaters. 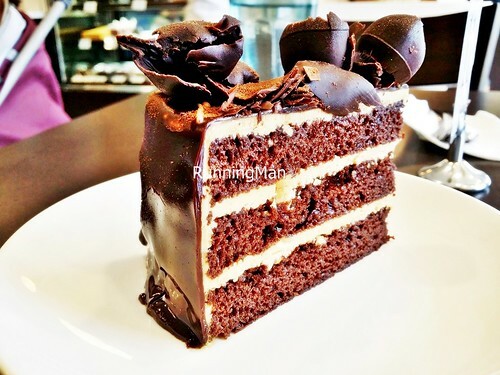 Prices for most dishes are wallet friendly, costing about SGD $12 or so for main courses, and SGD $6 or so for a slice of cake. Beyond the attractive stylised signage, the place is rather unassuming and plain. 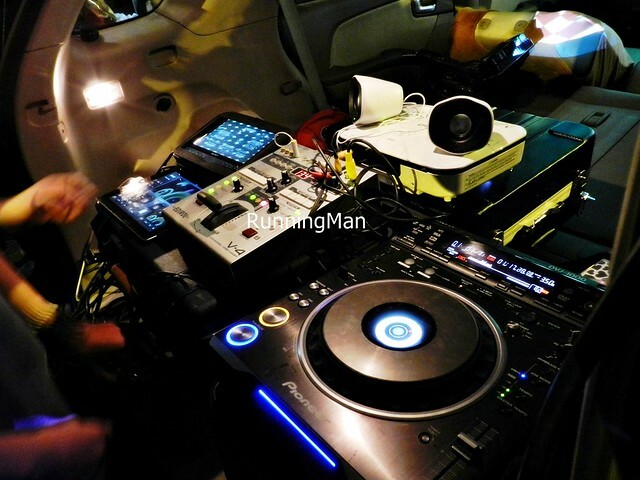 It can also get pretty noisy if there are a lot of children around. 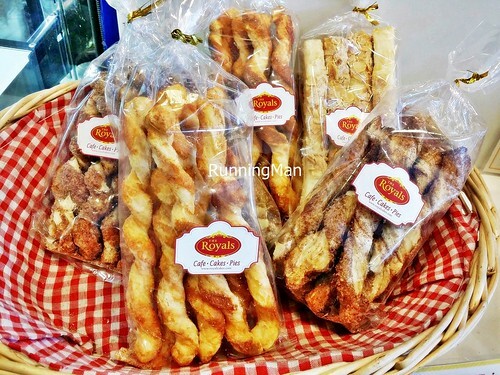 The Assorted Sticks - Cinnamon, Cheese, Almond (SGD $5.10) strike me as rather pricey, but are actually quite good value for money as a snack, as the dough sticks tend to fill you up. Also good for sharing, I like the Cinnamon Sticks for its sweetness, and the Almond Sticks for its crunch. 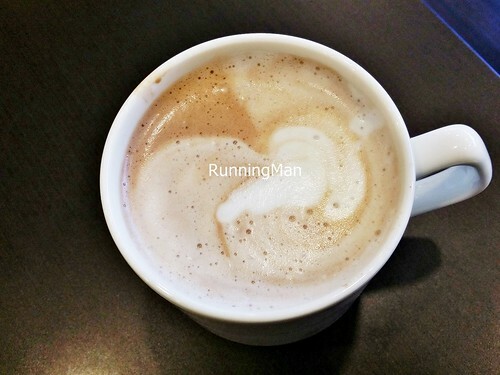 A cup of hot Milo (SGD $2.90) is expensive here, although it's served in a tall mug, and staff take the trouble to froth it till the top has foam. Still... it's just Milo. 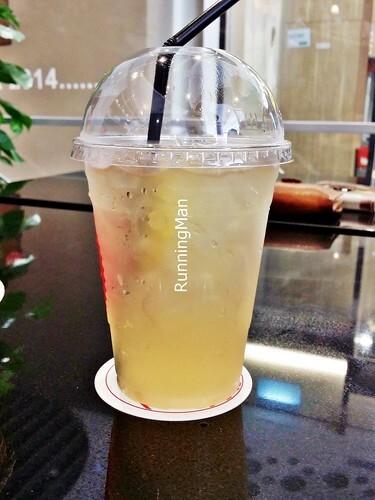 The Iced Honey-Lemon (SGD $3.50) was below average, as I found it slightly diluted. Not too good. 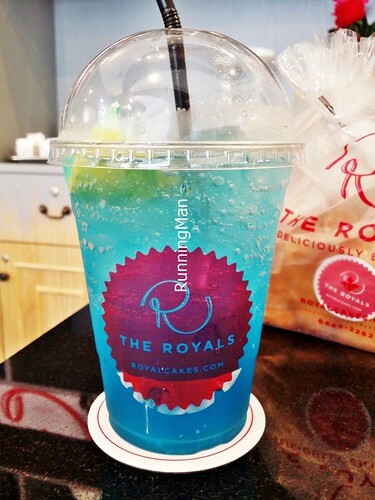 The Royals Blue Lemonade (SGD $4.90) is the signature drink here, and while it started out great with a fizzy, zesty, thirst quenching, refreshing taste, it quickly became diluted from the large amount of ice. 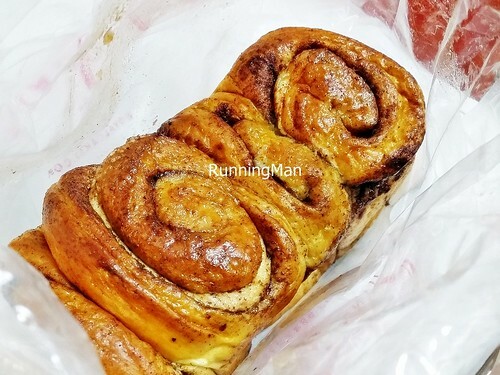 The Cinnamon Loaf (SGD $3) is pretty decent, with a good texture of bread that is soft with a slight chew. 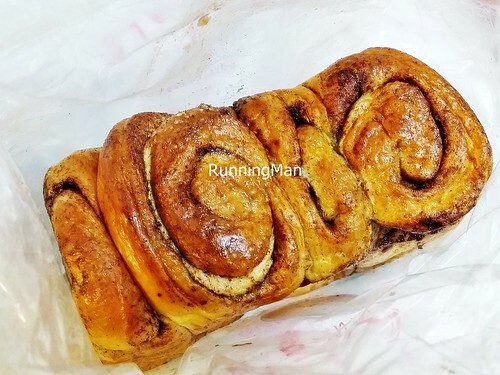 The layers of cinnamon are well spread, and the overall bun isn't too sweet, nor too heavy. Like! Good as a snack, or for breakfast. Probably among the best fruit cakes I've ever had, the Mango Delight Cake (SGD $45 / 1kg) is a true delight. 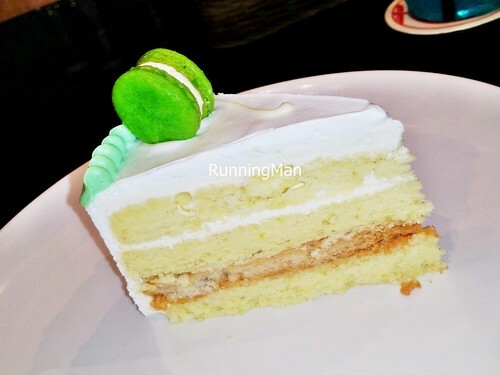 The mango is fresh and portioned generously over the top of the light vanilla sponge cake, and the cream is sweet yet light. Much better than other brands of mango cake! 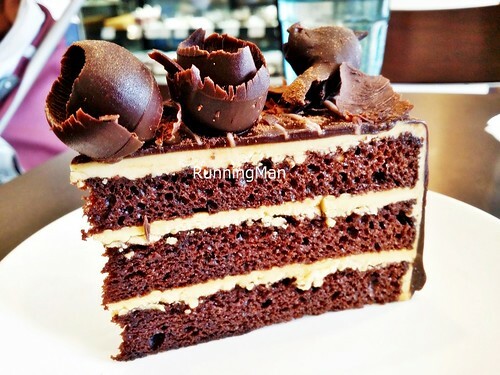 The Salted Caramel Cake (SGD $6.40 / Slice) is intense, with the sweetness of the chocolate cake clashing with the salty, sticky, caramel cream. Good flavour, but a slight more balance in the level of sweet and salty would be good. 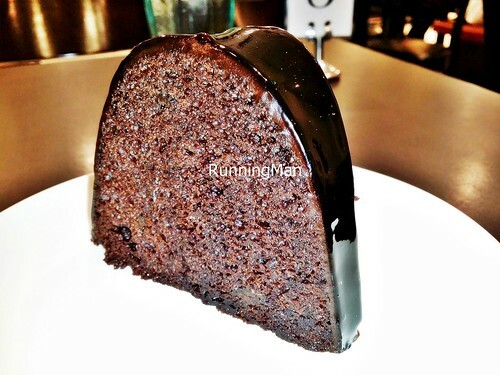 It may be called Grandma's Chocolate Cake (SGD $6.20 / Slice), but this chocolate cake with a layer of sweet, sticky chocolate fudge frosting is semi-dry in texture. 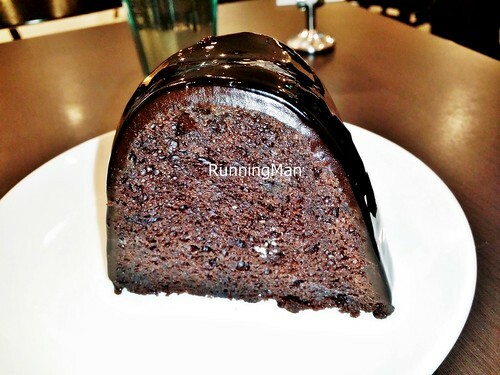 Decent at best, could be so much better if the cake were moist. 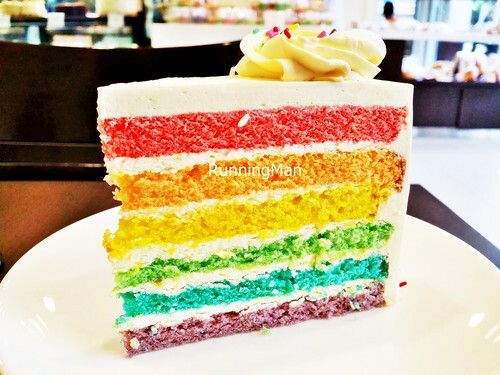 Love the bright, vibrant colours of the Rainbow Cake (SGD $6.40 / Slice), and the zesy, lemon and vanilla taste of the semi-dense cake. 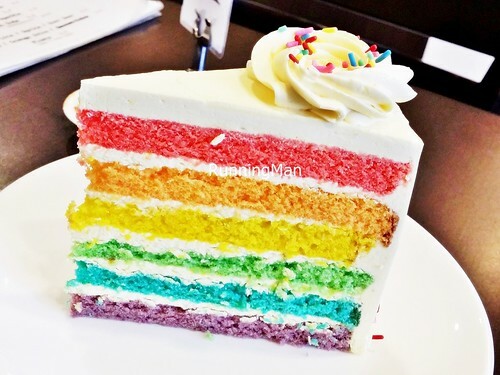 And while the addition of rainbow sprinkles added a bit of colour and crunch to texture, I didn't like the plain cream frosting, which was thick and dense. 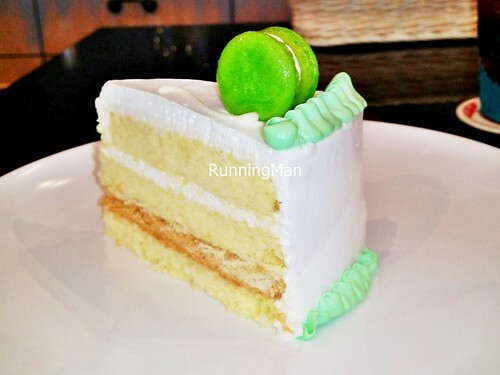 I loved the zesty, tangy, lime infused buttercream frosting on the Calamansi Chiffon Cake With White Chocolate Meringue (SGD $5.80), as well as the light, airy vanilla chiffon cake. 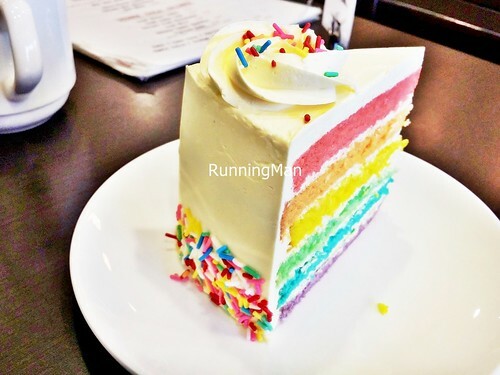 The texture was just lovely and soft, but I didn't quite get why they have a wafer center, whose semi firm texture contrasted poorly with the softness of the cake. 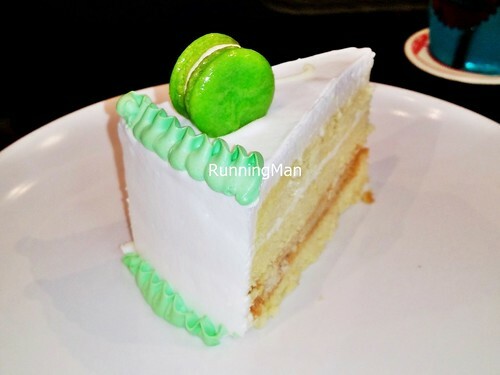 The lime macaron on top was rather flat as well, tasting like cardboard. Still I highly recommend the cake, just avoid the macaron! 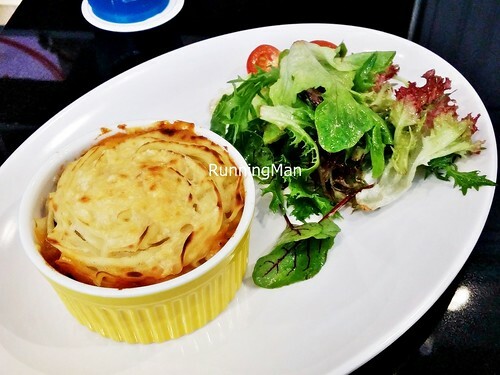 The Shepherd's Pie Beef (SGD $7.90) looks small when served, but is actually quite filling. 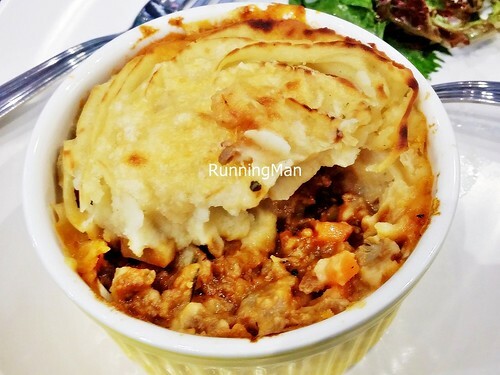 Cut through the crisp outer potato layer and you'll find a warm, soft, fluffy mashed potato pillow, covering a hot, savoury minced beef and diced carrots filling. Taste is excellent, deep and savoury with the aroma of meat. Rather hearty, I was thankful for the fresh garden salad on the side! Recommended! 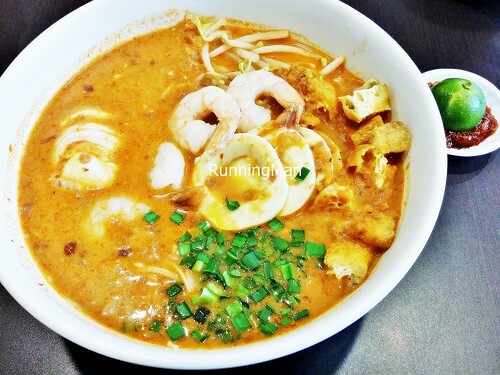 The Signature Nonya Mee Siam (SGD $5.90) is among the most popular items on the menu here, with nearly every other table ordering this. 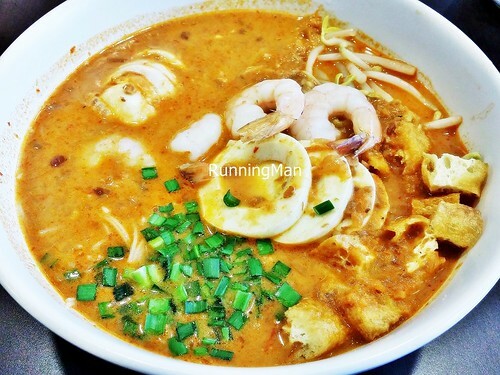 The secret lies in the home made gravy recipe, almost like a cross between a traditional Mee Siam gravy and a Laksa gravy. Rich, savoury, tangy, and lemak / creamy, the gravy is a potent dose of flavours. Also doesn't hurt that it's served with fresh prawns and a whole sliced egg. Highly recommended! Team building activity, Coat Of Arms. Team building activity, Broken Telephone. 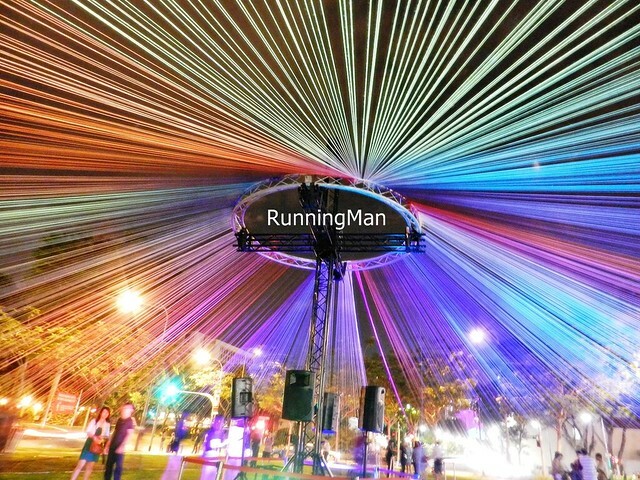 Now into its 7th year, the Singapore Night Festival has once again turned the urban downtown landscape of Singapore into a whimsical lighted playground. 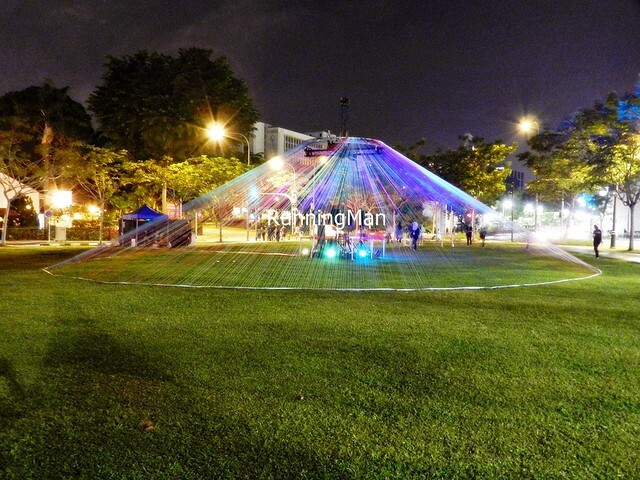 Organised by the National Heritage Board, the Singapore Night Festival 2014 is bigger and brighter than ever before, with its 'Bold And Beautiful' theme showcasing an eclectic mix of local and international artists. 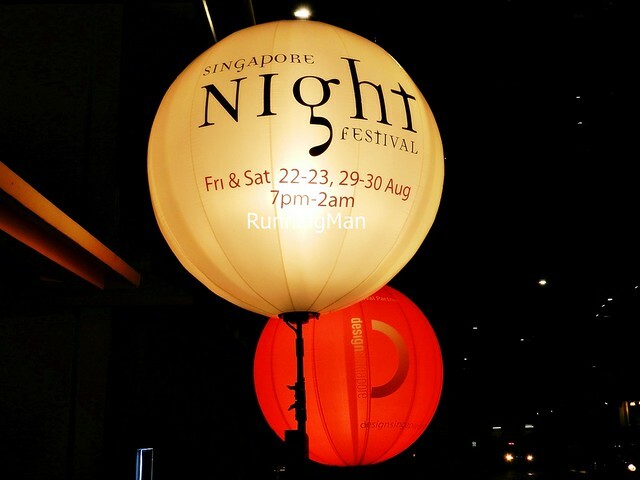 The Singapore Night Festival features performances on the weekends of 22 - 23 August 2014, and 29 - 30 August 2014, with all perfomances taking place between 7pm - 2am, around the Bras Basah and Bugis area. 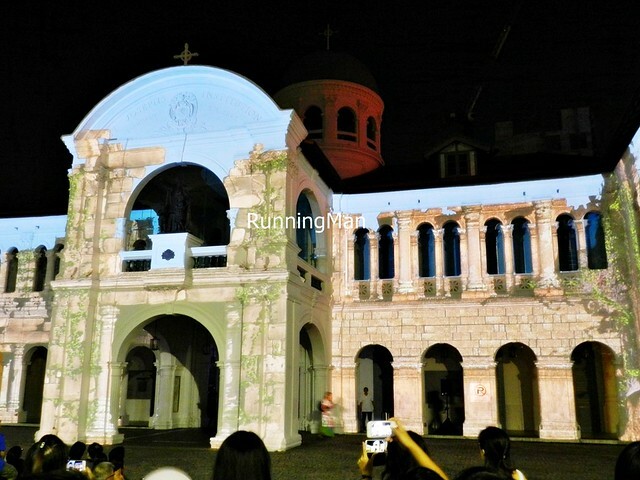 The Night Lights are on display throughout the week, from 24 - 28 August, from 7pm - 11pm, also within the same area. 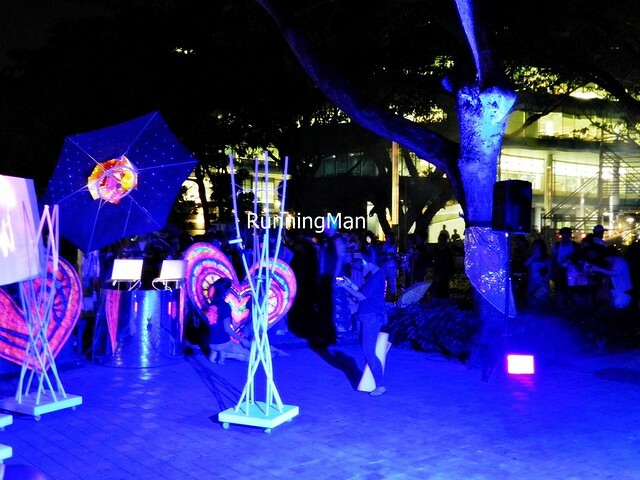 The festival grounds of the Singapore Night Festival are divided into 5 key zones. They include: Pretty Arty (Zone 1), Young Hearts (Zone 2), Block Party (Zone 3), Festival Village (Zone 4), and Roundabout Midnight (Zone 5). Roundabout Midnight (Zone 5), at the Singapore Art Museum (SAM) and Queen Street, features a curation of enigmatic and imaginative works. In 'Flights Of Fancy', carefully positioned coloured lights and shadows create a sea of shimmering, glowing butterflies heading towards the skies. In 'Home? 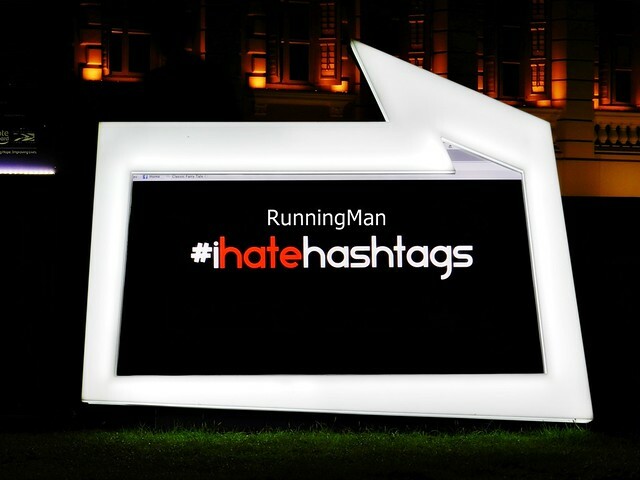 ', the artist explores the influx of technology into our lives. 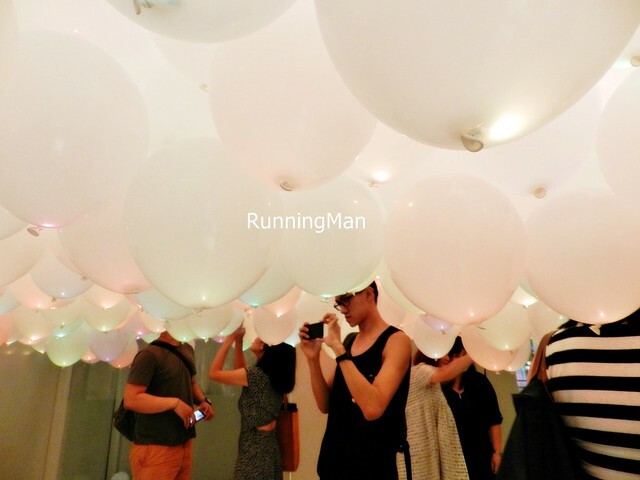 In 'Very Light Exhibition - Be Present', you'll feel like a child as you walk through this quirky mini exhibit of movable white helium balloons, illuminated from within by flashing coloured neon lights. The experience is surreal. In 'Your Canvas', lights, shadows, and water combine to create a playful effect, where special lily pads transform the ripples of the water into reflections of light bouncing off the surrounding walls. 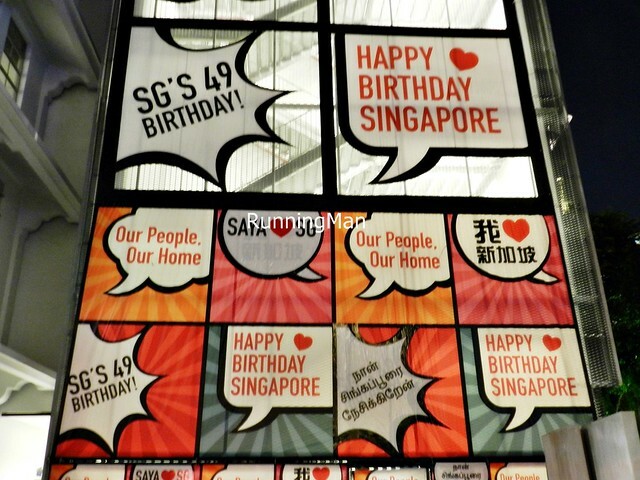 Colourful, energetic word balloons make the surrounding industrial steel pop, while commemorating Singapore's 49th National Day in 2014. 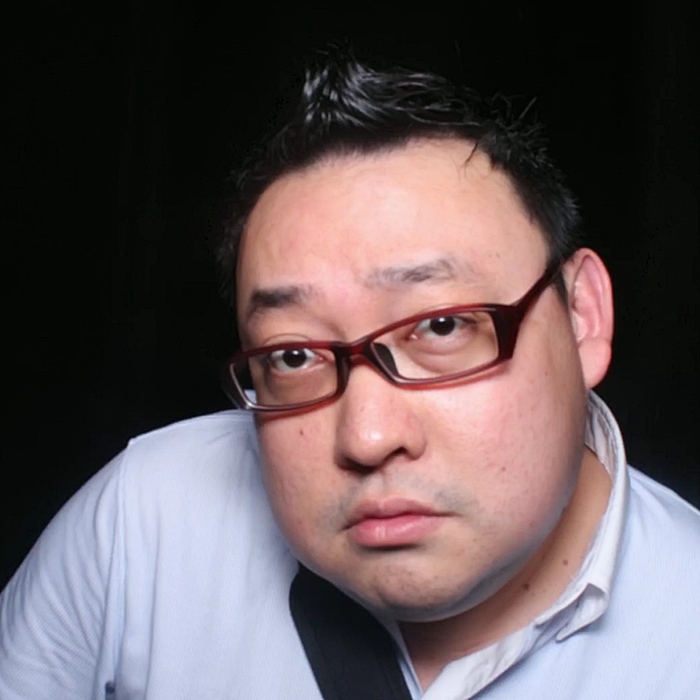 Noise Singapore 2014 features a line-up of emerging Singaporean musicians and bands. 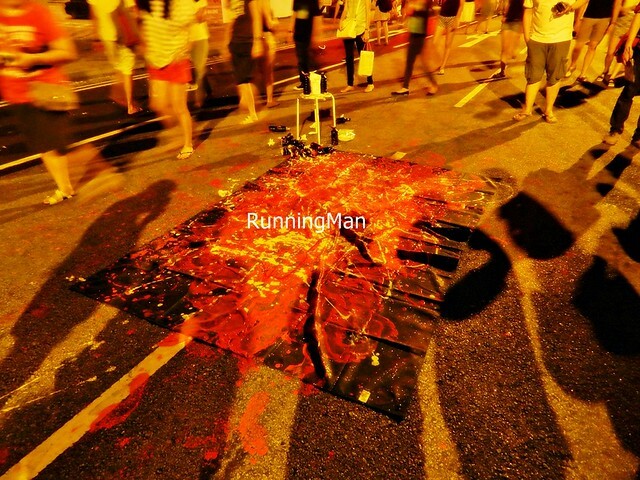 Dedicated to making 'noise' about the creativity of these under 35 years old talents, the line-up features 10 music acts throughout the Singapore Night Festival. 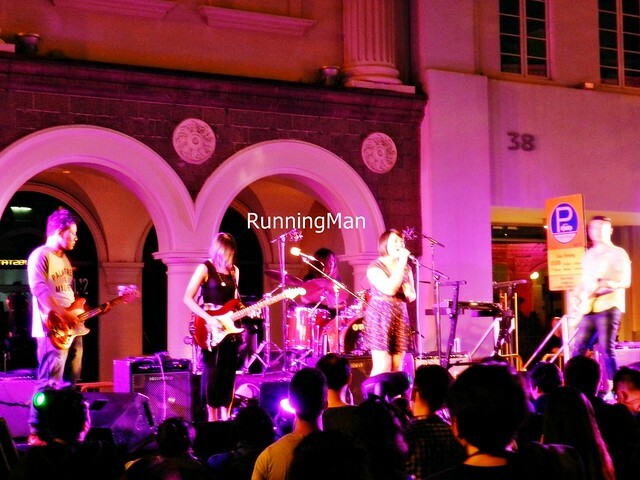 Caught the perfomance of Doves & Ravens, a pop-rock band founded in 2013 by lead singer and acoustic guitarist Kenneth Qua, with vocalist and electric guitarist Edwin Wong. Together with drummer Rohan Lal, bassist Moses Jadon Wong, and keyboardist Benjamin Chia, Doves & Ravens channels the spirit of the 80s and 90s into their vintage, radio-friendly sound, mixing it with modern pop-rock influences. Slacklining is a spin-off sport from rock climbing, practised by the climbing community to hone their balancing skills. 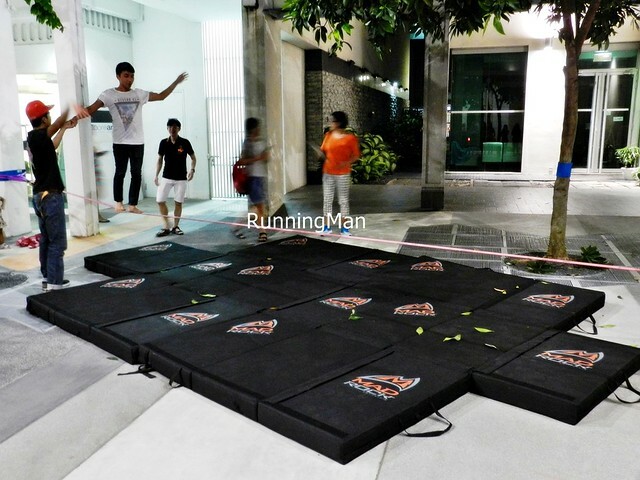 Elephant Slacklines is a Singaporean slacklining company with slackline equipment produced exclusively in Germany, and their team of athletes was present to put on a display at the Singapore Night Festival. 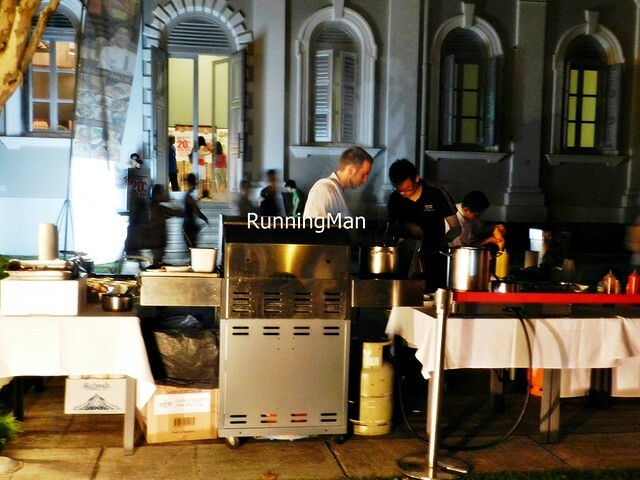 The Kerbside Gourmet Food Truck, affectionately known as 'Kerby', is Singapore's and Asia's first social enterprise food truck. 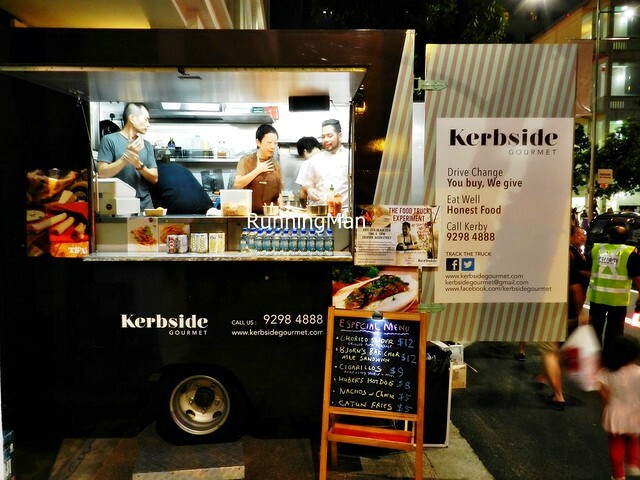 Founded by Ms. Ee Poh Luan in 2013, the Kerbside Gourmet Food Truck / Kerby serves a small fusion cuisine menu, using fresh, sustainable ingredients prepared in the slow-food philosophy. Each restaurant quality dish sold also benefits the less privileged in Singapore, as part of the 'Buy-A-Meal-Give-A-Meal (BAMGAM)' charity movement. 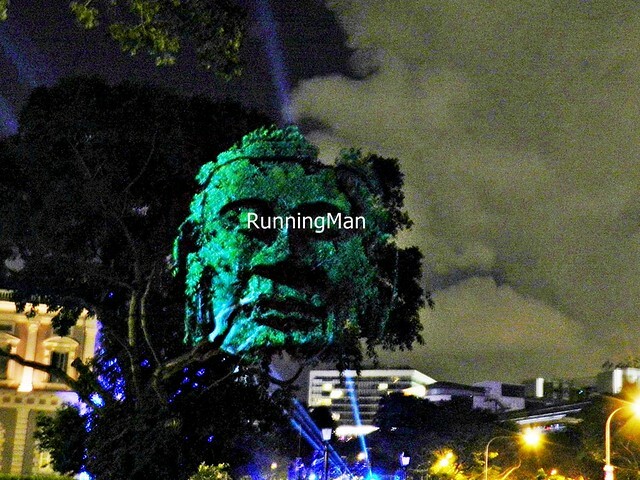 Among the standout attractions at the Singapore Night Festival is the multimedia extravaganza 'Spirits Of Nature' By French artists WeComeInPeace. 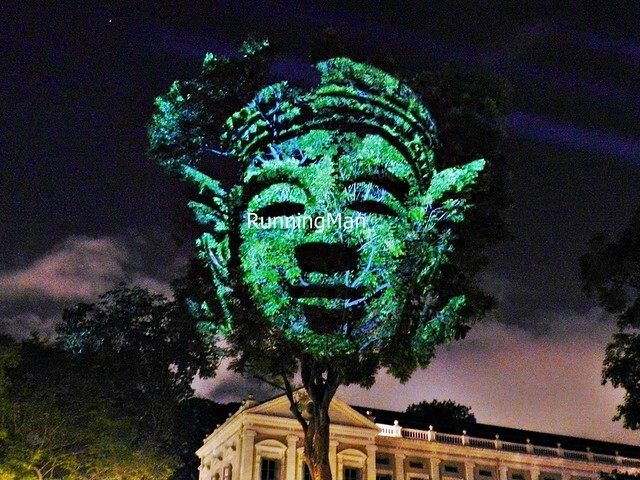 With the Singapore Art Museum (SAM) as its canvas, lights, sound, and video combine to bring the elements of nature to life... winds howl and rains fall, fireflies and spirits dart about, trees grow over stone, juxtaposed with mathematical precision. 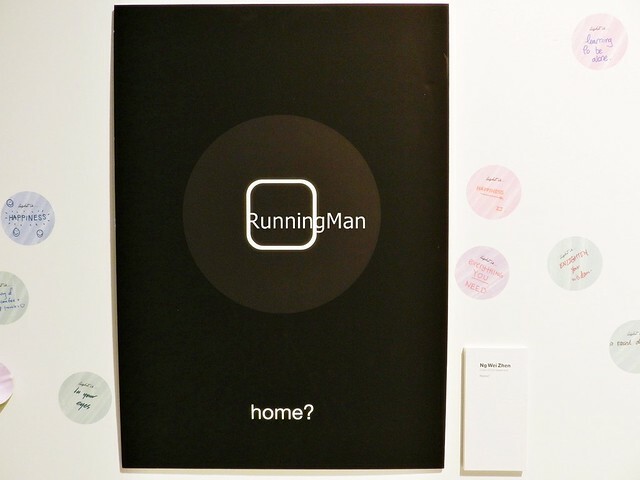 Young Hearts (Zone 2), at the Singapore Management University (SMU) and School Of The Arts (SOTA), features budding artists showcasing playful and thought-provoking works. 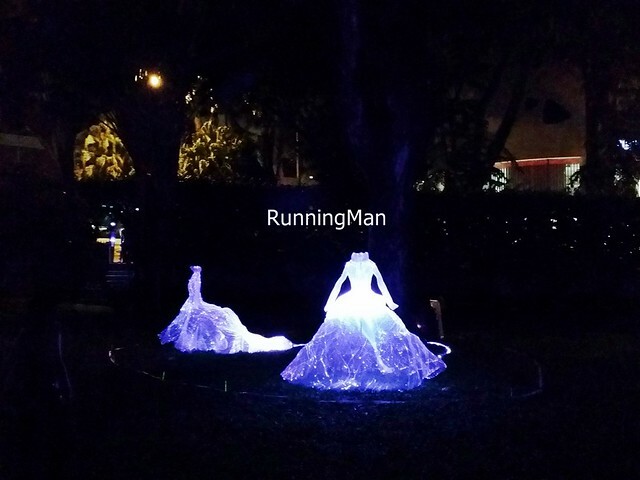 Starlight Alchemy is Singapore’s premier fire and light performance group, and with 'Into The Starlight', they showcase Fire Theatre, Illuminated Dance and Flow Arts using illuminated LED light tools and neon glow paint. 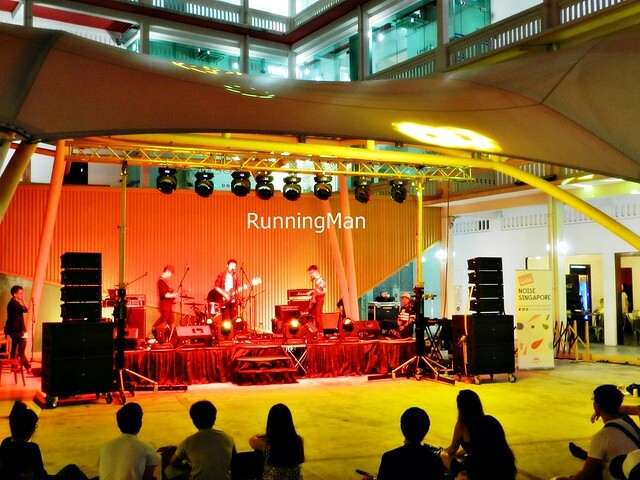 A signature of the Singapore Night Festival, HOMEMADE is a showcase celebrating originality and local Singaporean musical talent. 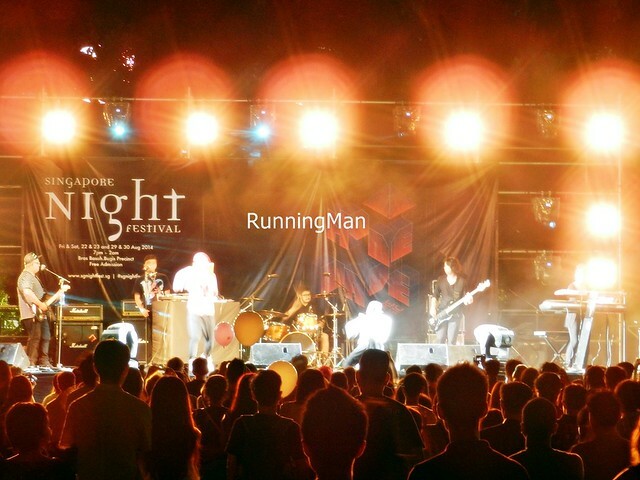 For Singapore Night Festival 2014, urban beats and local rock take centre stage. 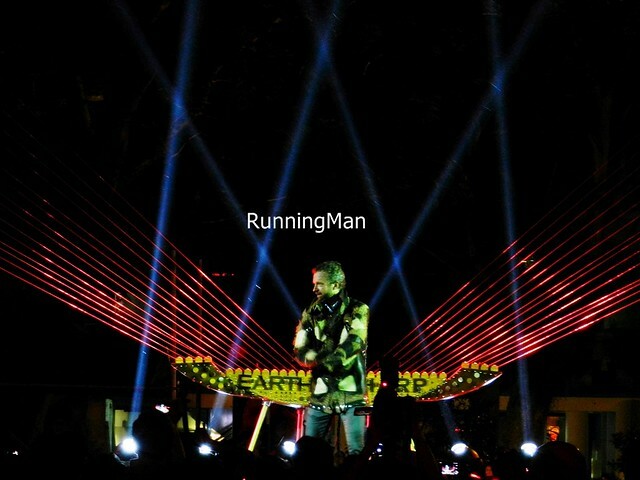 Caught the perfomance of Singaporean rapper / songwriter / producer ShiGGa Shay. 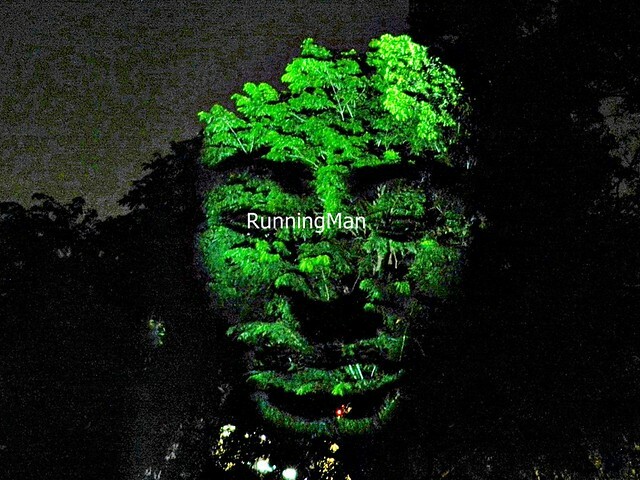 Love his amazing stage presence and live sets charged with electrifying energy, as well as his witty, heavy-hitting, and intricate lyrics laced with personal stories. The infectious melody of the ShiGGa Shay song 'Lion City Kia' stood out for me. 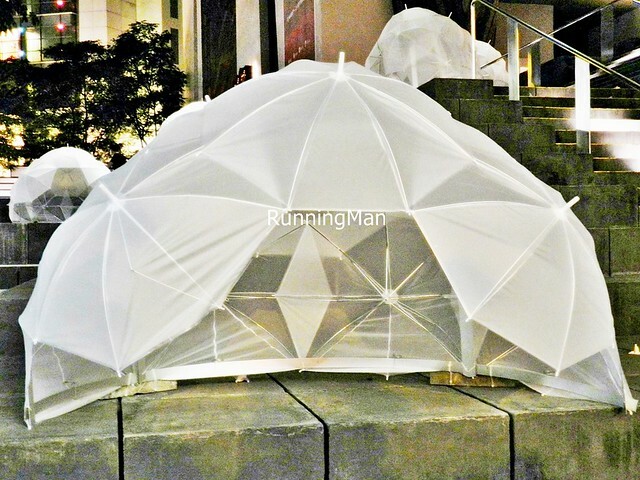 With 'Umbrellas', the School Of The Arts (SOTA) And Lighting Planners Associates, have set up giant umbrellas doting the grand staircase in front of SOTA. 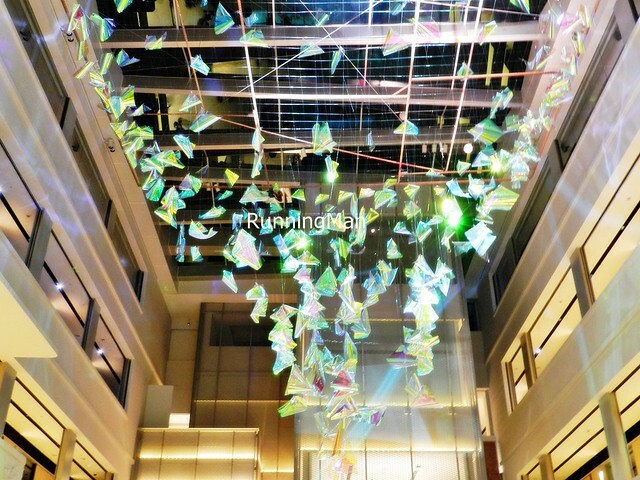 These brilliant clusters of light invite passer-bys to stop and seek shelter, to linger and watch the world pass. Pretty Arty (Zone 1), at the National Museum Of Singapore, features an ensemble of grand and vivid performances. 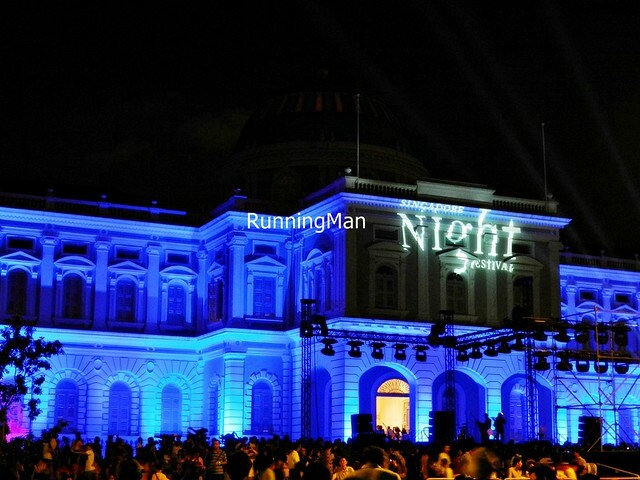 The backdrop of the National Museum Of Singapore acted as the canvas for the Singapore Night Festival 2014 Night Lights, and marks out the mid-point of the various Night Lights scattered throughout the Bras Basah and Bugis area. 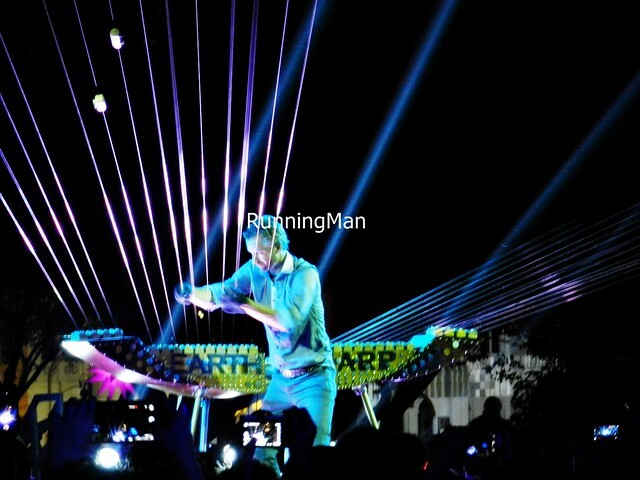 The Singapore Night Festival 2014 was headlined by international musician, and founder of the MASS Ensemble, Mr. William Close. 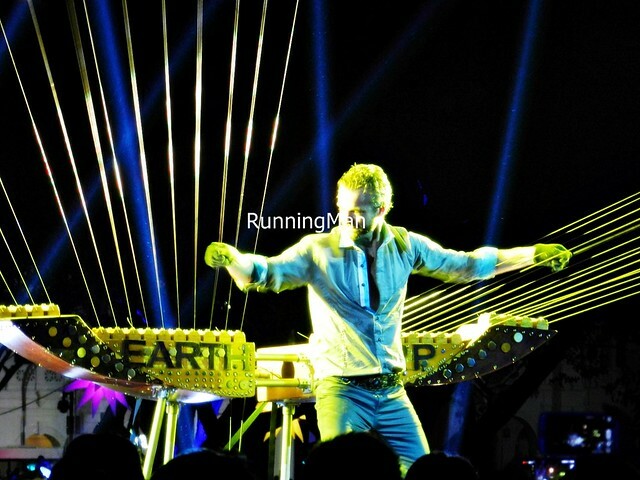 Known for his musical installations that incoporate architecture as part of the musical instrument, and having developed over 100 new types of musical instruments installations (including the Drum Orb, the Percussion Jacket, and the Aquatar), William Close turned the National Museum Of Singapore into a giant Earth Harp. 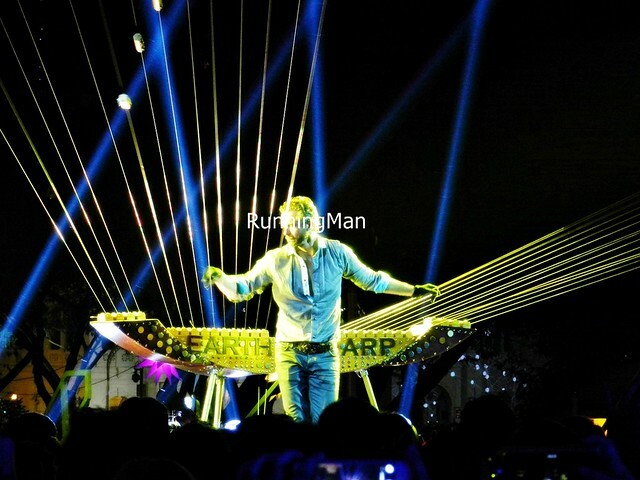 The Earth Harp itself was invented by William Close in 1999, where the body of the instrument rests on stage, while the strings travel out over the audience heads, and attach to the building facade. 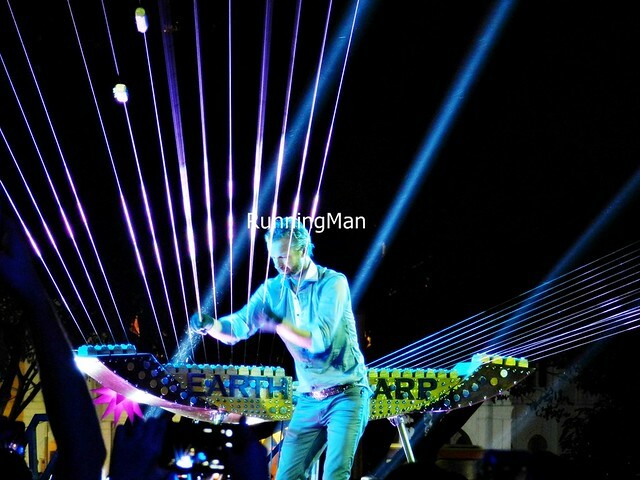 William Close performed several pieces together with the ZingO Drum Group, and the Sound Of Sirens. 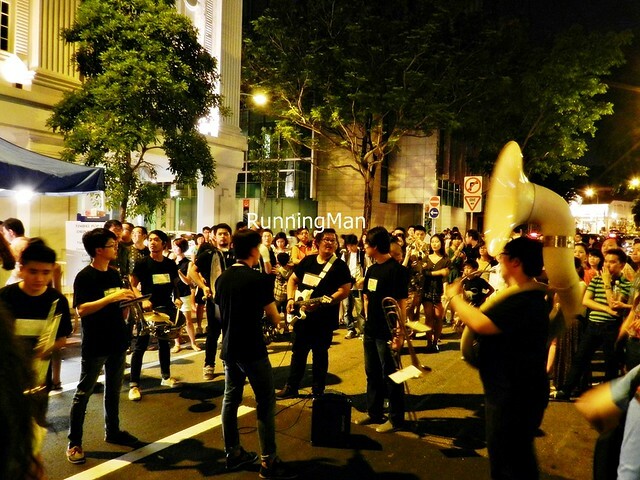 The ZingO Drum Group was founded in 2004 by Roch Ong, and is a trailblazer in the Singapore Chinese drum scene, with a modern yet traditional approach to music. The Sound Of Sirens is a musical quartet of 4 of Singapore's best known voices in Jazz, Soul, and R & B music; Ywenna Carollin, Alemay Fernandez, Vanessa Fernandez, and Dawn Ho; each an acclaimed artist in their own right. 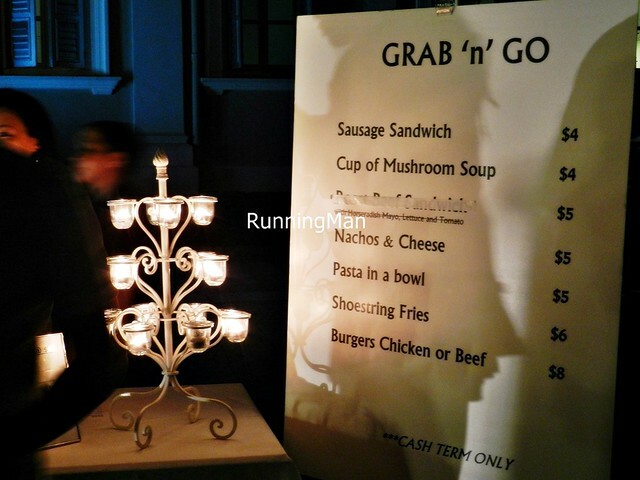 Various hand-held and takeaway food items being sold on the streets, all designed to Grab 'N' Go. Ranging from Nachos & Cheese, to Hot Dogs and Corn Dogs, to various types of Sandwiches, to Burgers And Fries, and even Pasta In A Bowl! Wash it all down with Beers, also being sold on the streets! The surreal, ghostly light projections of the 'Divine Trees' is the brainchild of French artist Clément Briend. 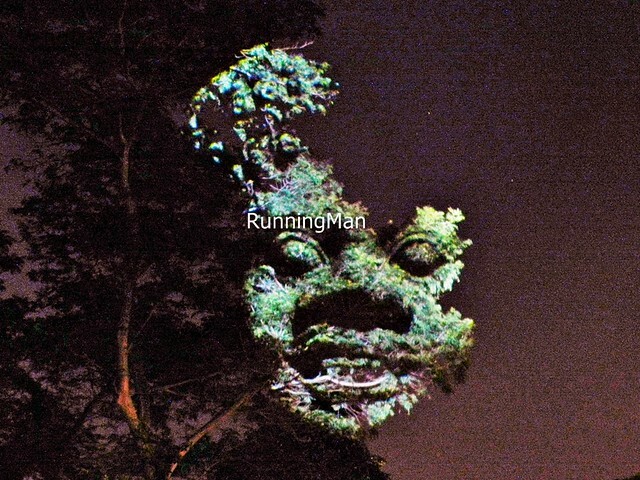 The texture of the leaves, shadows of the night, and carefully projected light combine to bring to life magnificent images of divine beings / deities known within the Asian culture. The huge, scaled pictures of faces float in the air, above the crowd, looking both spooky and awesome at once. 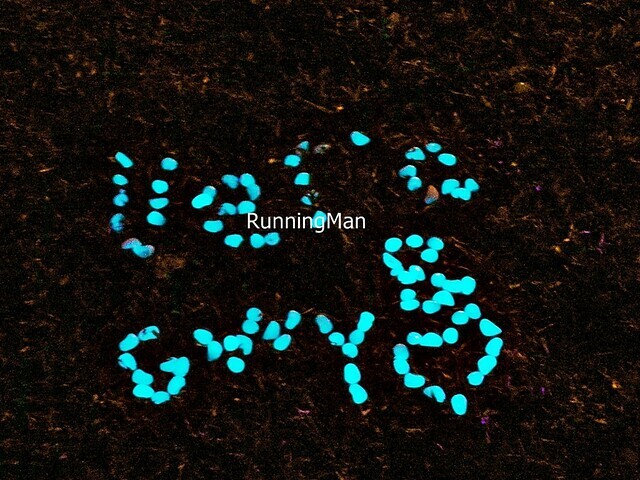 French artist Agathe De Bailliencourt creates an ephemeral, bioluminescent playground in 'Landscape By Landscape', where visitors are encourage to play with glow-in-the-dark pebbles on the ground, using them to form and create in new and curious ways. 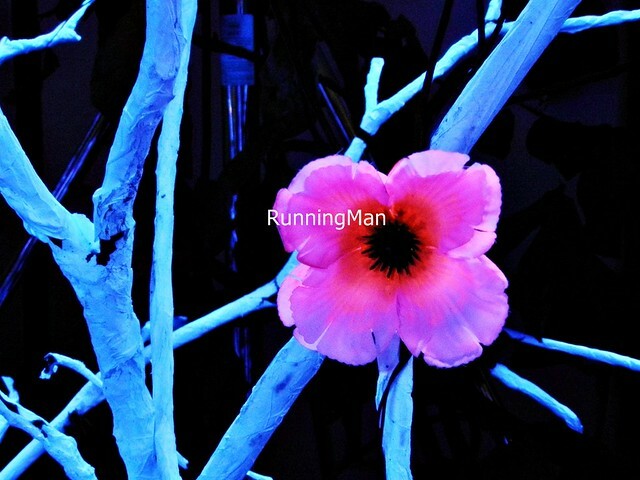 The ethereal environment is enhanced by strains of the mysterious melodies of 'Crippled Symmetry' By Morton Feldman. Both infinite yet comforting, visitors are drawn into this strange 'Avatar'-like world. 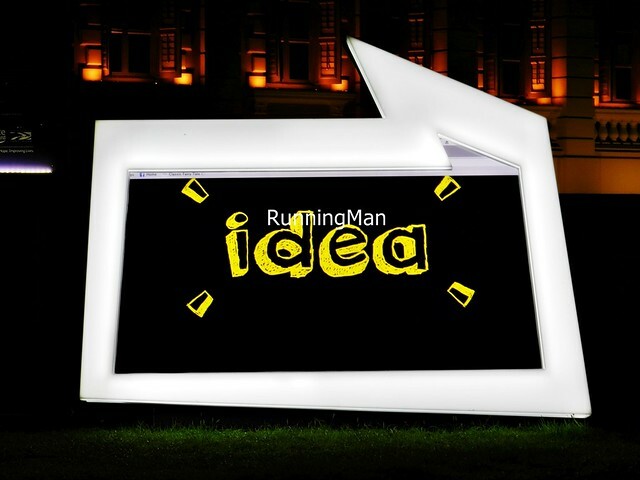 What random set of messages will appear on the giant LED speech bubble in 'Insert Caption Please' By Ryf? You'll never know... and these funny, whimsical messages make great photo opportunities! 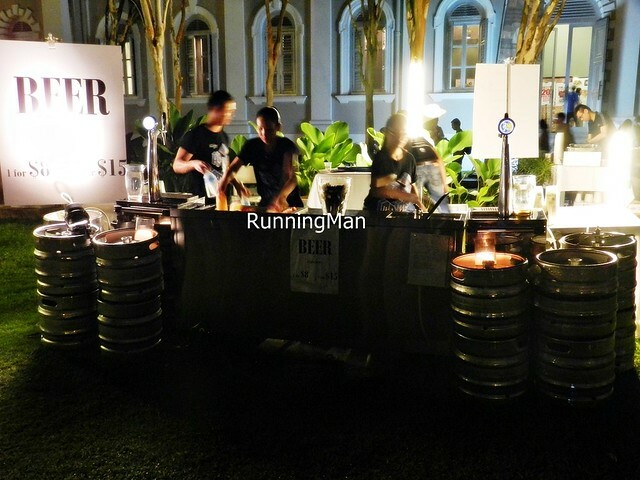 Block Party (Zone 3), at Armenian Street, features eclectic performances and raucous musical gigs. 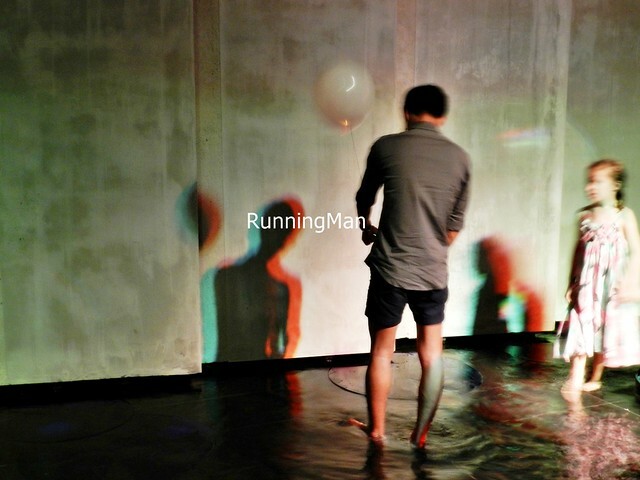 Roving Performance Artists showcase various pieces, according to the theme of 'Spread The Love'. 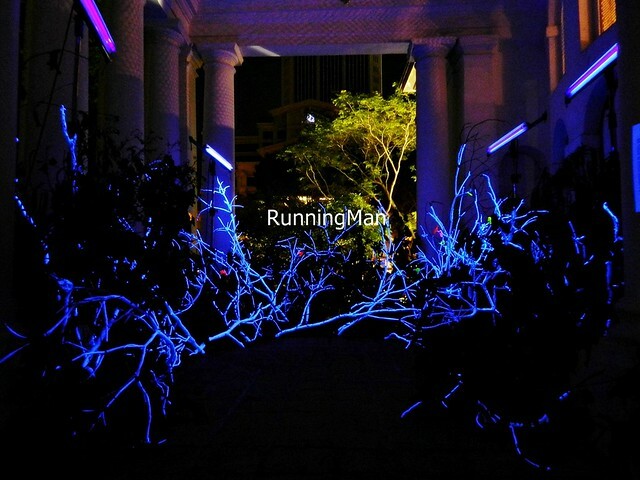 Their interpretations bring a catalyst for meaningful encounters to the Singapore Night Festival. A couple of Roving Brass Band parade down the street, playing catchy jazz numbers with jumping percussion beats. Caught Brass Nation, an 8 piece brass ensemble which incorporates elements of soul, funk, hip-hop, rock, and pop music. Brass Nation features Jefferson on Alto Saxophone, Vignesh & Erik on Trumpet, Thomas & Eddie on Trombone, Faiz & Marvin on Percussion, and Hao on Tuba. The Tribal Gathering Of Jaw Benders brings together the best of live indie music, performed by alternative bands and musicians. Caught the Obedient Wives Club, a quintet known for their lo-fi fuzzpop / fuzzy pop music. The exhibit 'Dresses Of Memory' By Taegon Kim is somewhat surreal, somewhat spooky in the darkness. 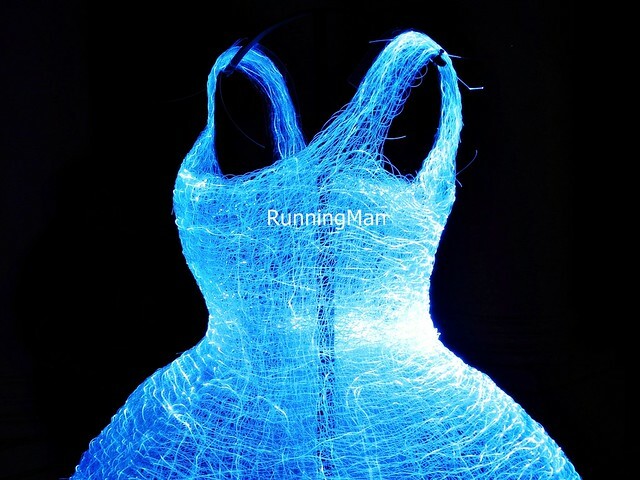 These breath-taking, colour changing dresses are woven from 40 kilometres of fibre optic cables, and appear floating in mid-air, glowing softly throughout the night. Shine a light onto the bioluminescent flowers in 'Alsos' By Scenocosme, and enchanting melodies fill the air within this glow-in-the-dark forest. Festival Village (Zone 4), at Cathay Green, features a smorgasbord of artisinal food and beverage, and a quirky flea market. 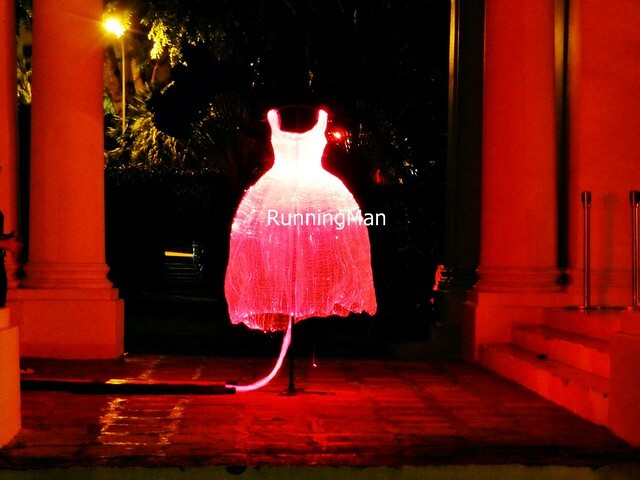 An illuminated jellyfish or a living lamp? 'Cyanea' By Cumulus channels the whimsical with a curtain of lit tentacles, glowing softly with multi-coloured lights. 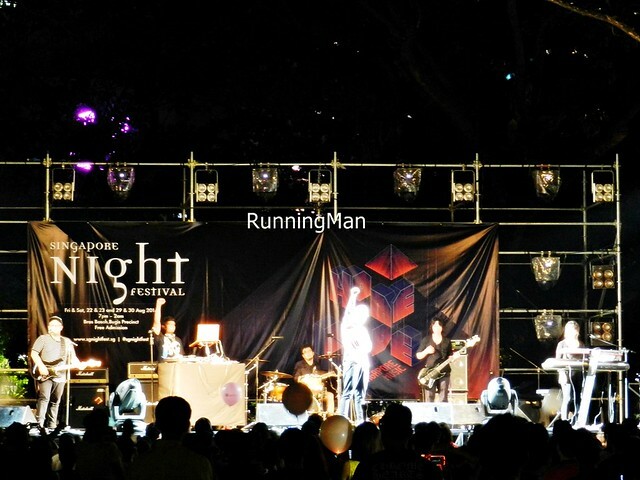 Various other arts and music groups that aren't part of the official line-up of the Singapore Night Festival 2014 also joined in, adding to the already vibrant and energetic atmosphere, and showcasing the variety of the arts scene in Singapore. 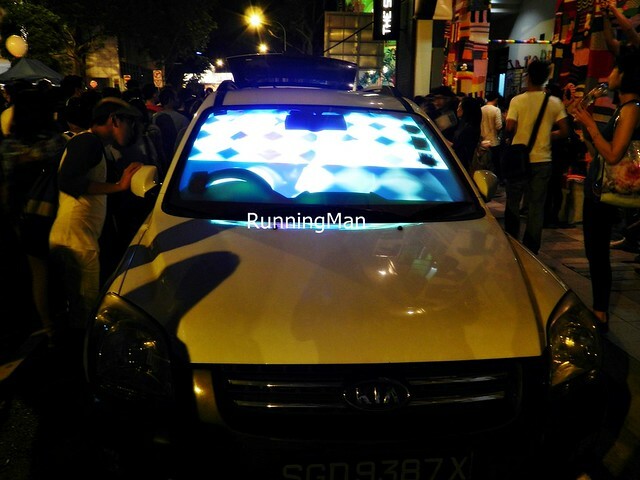 If you're planning a visit to the Singapore Night Festival, do note that General Admission is Free only for this period, allocate between 1 - 5 hours for proper viewing, and bring a good pair of walking shoes, and water to hydrate.